Until the latter years of the twentieth century, only rarely did the mainstream media give prominent coverage to the criminal nature of the pharma industry. While incidents such as the thalidomide affair had raised awareness of the dangers of drugs, the pharma industry was still largely perceived as providing a benefit to mankind. Today, however, its public image is very different. In recent years, the list of crimes and misconducts committed by pharma companies has included falsifying data on drugs; failing to warn patients of the dangers of drugs; contributing to and profiting from the opioid crisis; as well as bribing doctors and health officials. Not only has this resulted in mainstream media news reports on such incidents becoming commonplace, the pharma industry’s reputation now lies in ruins. It is often claimed that the pharma approach to medicine is science-based. In reality, however, this is far from being the case. In their pursuit of regulatory approval and multibillion-dollar profits, pharma companies are well known to manipulate study results. A recent case is that of Acerta Pharma, a U.S. drug company, which in 2015 falsified data on acalabrutinib, a drug for blood cancer. British drug company AstraZeneca bought a majority stake in Acerta Pharma in 2016, on the basis of claims that acalabrutinib had supposedly been shown to have a therapeutic benefit in a mouse model of pancreatic cancer. However, shortly before the AstraZeneca cash injection, Acerta had to retract a study abstract purporting to show the drug was effective. AstraZeneca subsequently admitted the data was faked, blaming it on a former employee of Acerta. Acalabrutinib went on to be approved by the U.S. Food and Drug Administration for treating a form of lymphoma. But as we shall see next, failing to share the facts is anything but rare in the pharma industry. Clearly, given how dangerous drugs are, faked study data makes the occurrence of unpredictable side effects even more likely. And yet, when problems arise, pharma companies still often fail to warn about them. In 2017 it was announced that hundreds of patient deaths and millions of adverse events were linked to Roche’s rheumatoid arthritis drug Actemra. Some reports put the number of deaths at more than a thousand. An investigation found that patients taking the drug were dying from cardiovascular and pulmonary complications and that, unlike other rheumatoid arthritis drugs, the Actemra label did not carry warnings about these risks. Competing medications for the condition were already well known to be associated with heart attacks, heart failure or life-threatening lung complications, and labeled accordingly. Despite having failed to warn of such risks, Roche made around $1.7 billion from Actemra in 2016. Beginning in the late 1990s there was a rapid increase in the use of prescription opioid drugs. By 2011 prescription opioids had become the most prescribed class of medications in the United States. Chemically related to heroin, and with similar effects, prescription opioids are highly addictive. As a result, between 1999 and 2017, almost 218,000 Americans died from overdoses related to these drugs. Purdue Pharma, a U.S. drug company, is seen by many observers as having been largely responsible for the rise of this situation. After introducing OxyContin, a powerful opioid painkiller, in 1996, the company proceeded to market it aggressively as a drug that was supposedly less addictive, less subject to abuse, and less likely to cause narcotic side effects. A decade later, Purdue executives admitted in court proceedings they had marketed and promoted the drug with the intent to defraud or mislead. In 2007 in one of the largest pharmaceutical settlements in U.S. history, the company was fined $600 million. Compared to the $35 billion or so that OxyContin had reportedly helped net for Purdue, however, the fine was essentially small change. With billions of dollars at stake, pharma companies will even resort to outright bribery if it produces higher profits. An illustration of this occurred in 2014, when GlaxoSmithKline, a British firm, was fined $489 million by Chinese authorities for bribing health officials. The company was found to have used a network of travel agencies to funnel bribes to doctors and hospitals in China in order to have its products promoted. The Chinese bribery case brought international humiliation for one of Britain’s largest companies. In receiving the fine, GlaxoSmithKline joined a long list of pharma companies that have been involved in bribery. Other examples include Novartis, Sanofi, Johnson & Johnson, and Pfizer. With their industry’s reputation lying in ruins, these companies only have themselves to blame. Robert F. Kennedy Jr, Chairman of the Board of Directors for Children’s Health Defence (a worthy cause if you’re looking for one to donate to) has been fighting against big corporations that have taken over and undermined American government health regulatory agencies for a number of years. 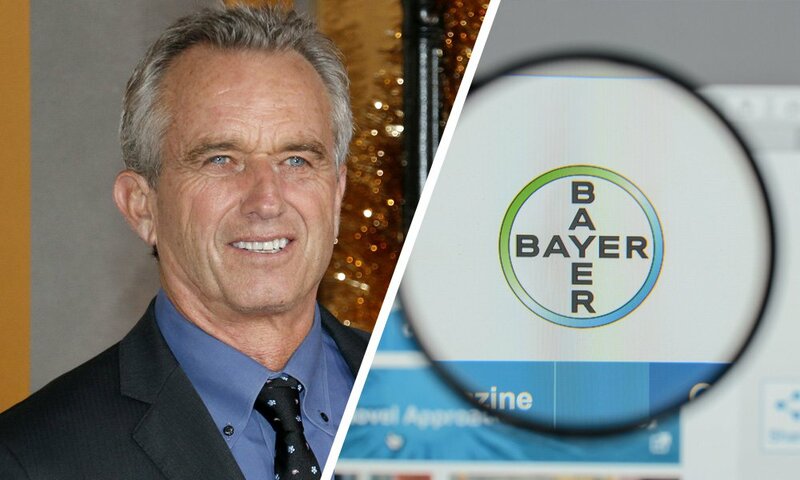 One of the most recent examples is when Robert F. Kennedy Jr represented Dewayne Johnson, a school groundskeeper who successfully brought forward a lawsuit alleging glyphosate caused his cancer. That’s right, he won! There are currently thousands of cases pending against Monsanto, which is only one of multiple powerful companies influencing agencies like the Food and Drug Administration (FDA) and the Centers for Disease Control and Prevention (CDC). And to think, these are the agencies providing us with ‘science’ in order to get the food, medications, and other products produced by these big corporations to be deemed safe. Not only that, but these agencies are providing educational resources to medical schools, which Big Pharma has completely taken over as well. It’s truly unbelievable that, in this day and age, education has turned into brainwashing. Science is corrupted, altered, changed, ignored, and swept under the rug just because it threatens the interests of a few powerful people and the corporations they hide behind. Glyphosate, the active ingredient in Monsanto’s pesticide Round Up, is a perfect example, as science has been showing for decades how incredibly harmful it is for human health and the environment, yet it’s approved as ‘safe’ for use in the western world. It’s no mystery why glyphosate is illegal in the majority of countries around the world. The same goes for genetically modified foods, which is what Round Up was designed to be used on. Years ago, a lawsuit forced the FDA to divulge its files on genetically engineered foods.